Welcome to our website. This website with URL address www.maternal-instincts.com.au is owned and operated by Maternal instincts by Amberley, ABN 26 519 786 548. The terms ‘us’ or ‘our’ or ‘we’ refers to Maternal instincts by Amberley, the owner of the website, whose registered office is in Victoria, Australia. The term ‘you’ or ‘your’ refers to the website user. 2. all services and products provided through this website. 3.1. Whilst every care is taken, Maternal Instincts by Amberley does not provide any warranty or guarantee as to the performance, accuracy, timeliness, completeness or suitability of the information and materials found or offered on this website for any particular purpose. 3.2. The information available through this website site is provided for educational purposes only. 3.4. You acknowledge and agree that no information or advice provided by us including that contained on this website any way constitutes health, midwifery or medical or psychological advice or is to be used by you in the place advice provided by your doctor. Neither does this the information contained in this website constitute advice of any other regulated industry or creates a warranty of any kind with respect to this website. 4.1. Maternal instincts by Amberley owns the intellectual property rights in all of the content of this website or has permission to use or display the material on this website. 4.2. You may not use, copy, display, distribute, modify, translate, reformat, incorporate into advertisements and other works, promote, create derivative works, or in any way exploit or allow others to exploit any of our website content in whole or in part except as expressly authorised by us. 4.3. Please email [email protected] if you require permission to reproduce any of the contents of this website. 7.1. If you believe that there is material on our website that infringes third party intellectual property rights, please email [email protected] with sufficient information to enable us to determine who the owner of the intellectual property is and to remove it from the Maternal instincts by Amberley website if appropriate. 9.4. We have no control over the nature, content, and availability of those websites. 10.1. Maternal instincts by Amberley makes every effort to maintain the security of the Maternal instincts by Amberley website including but not limited to encryption, firewall, antivirus, and spyware protection to the extent that we deem advisable to protect your personal information, the integrity of the website and conduct our business. However, we do not guarantee the security of the website, our records, or your content. 10.2. Maternal instincts by Amberley disclaims all liability for any computer virus or technological problems that we do not intentionally cause or that is beyond our control. You are advised to install and maintain up-to-date security software on your computer for your further protection. 10.3. The Maternal instincts by Amberley website is managed by third-party services; therefore, the website may be inaccessible from time to time. 11.1. 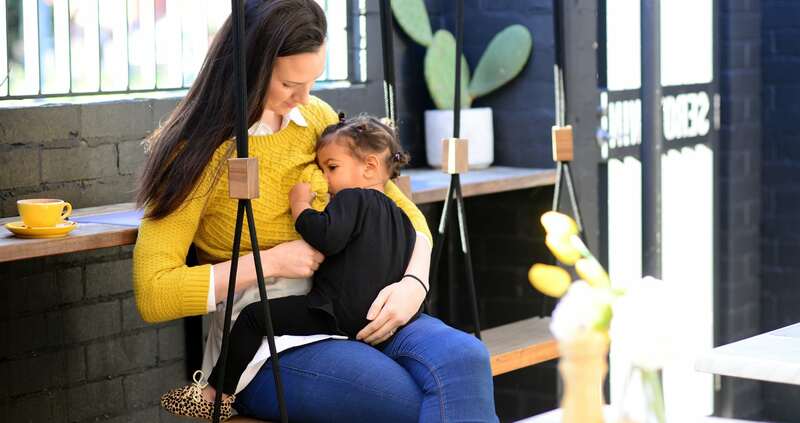 Maternal instincts by Amberley will not be liable to you or any other person or entity for any damages whatsoever arising as a result of your use of this website in any way, subject to the requirements of Australian Consumer Law. 13.1. This agreement is governed by the laws of Victoria and you consent to the exclusive jurisdiction and venue of courts within Victoria in all disputes arising out of or relating to the use of this website. 13.3. Maternal instincts by Amberley may provide notice to you via email or other electronic means. 14.1. You agree that no joint venture, partnership, employment, or agency relationship exists between you and Maternal instincts by Amberley as a result of this Agreement or use of this website. 16.1. If you have any questions, please email [email protected] We endeavour to respond to all enquiries within three business days.